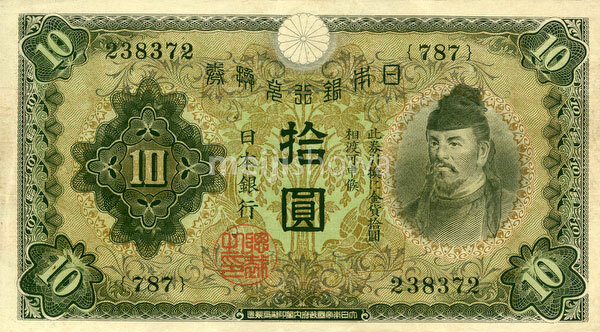 10 yen note obverse (丙10円券). For reverse, see 80107-0005. Design: Wake no Kiyomaro (和気清麻呂, 733–799), a high-ranking Japanese official during the Nara Period (710–794).